Besides being a cartoonist Jeff Pourquié is a sulptor, a painter and a jazz musician. He started creating comics for the magazine A Suivre. After that he published several comics in collaboration with scenarists. 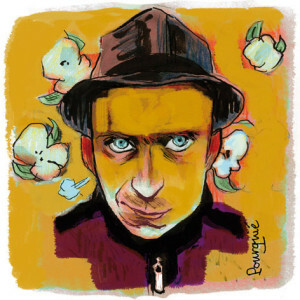 Pourquié combines his “direct colors” technique with graphic data processing and traditional graphism. Taina Tervonen is an independent journalist. She writes in words and images about social and cultural subjects, and about migration and the relationship between North and South in particular.